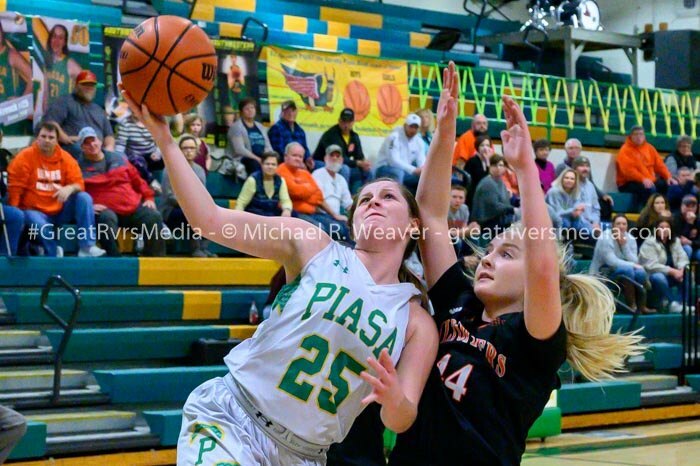 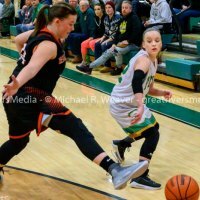 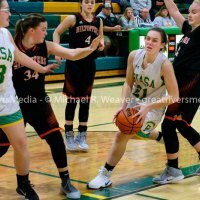 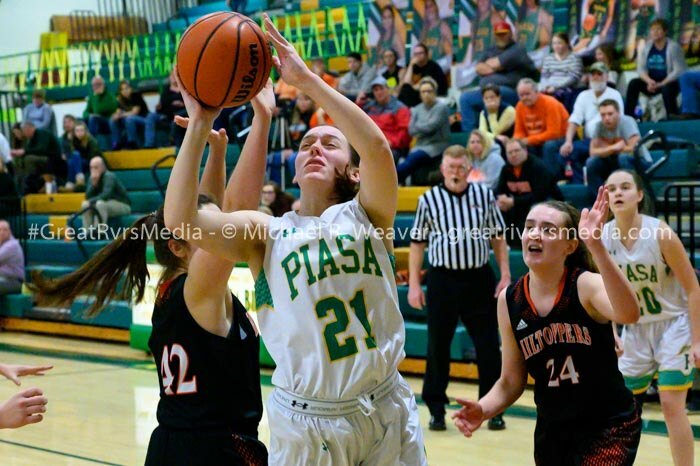 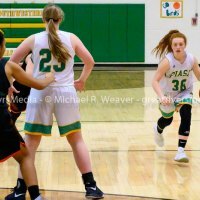 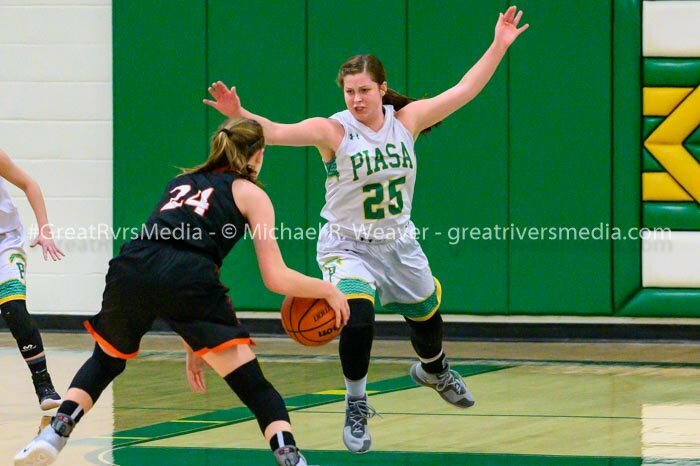 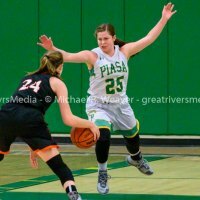 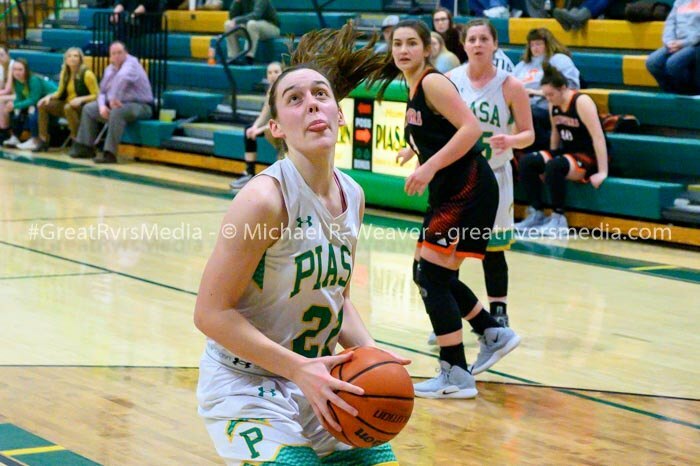 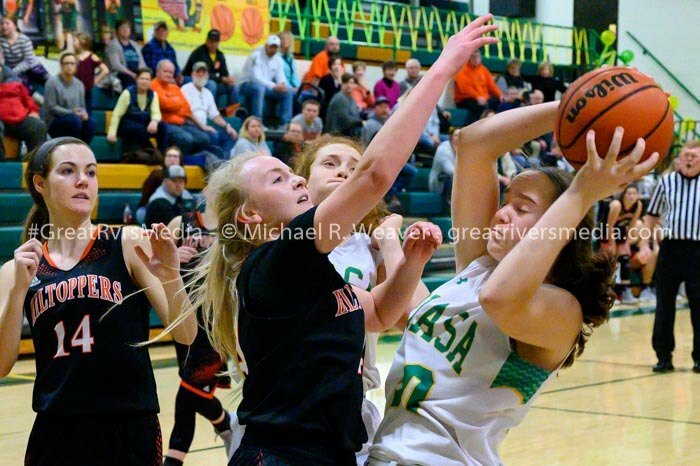 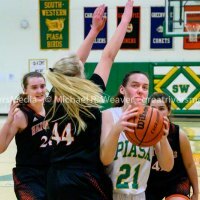 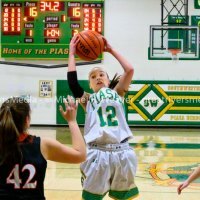 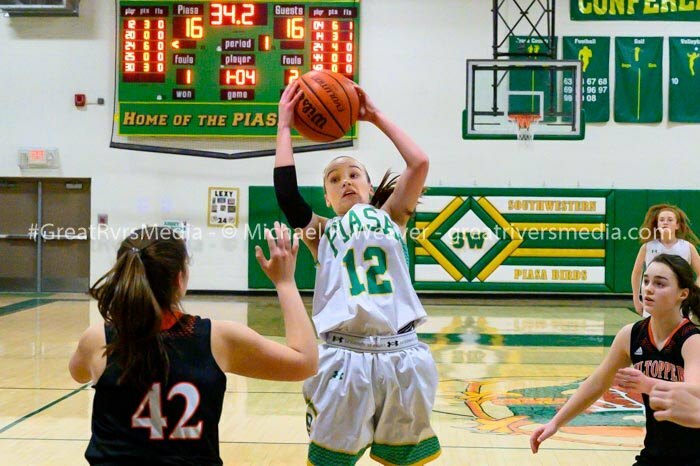 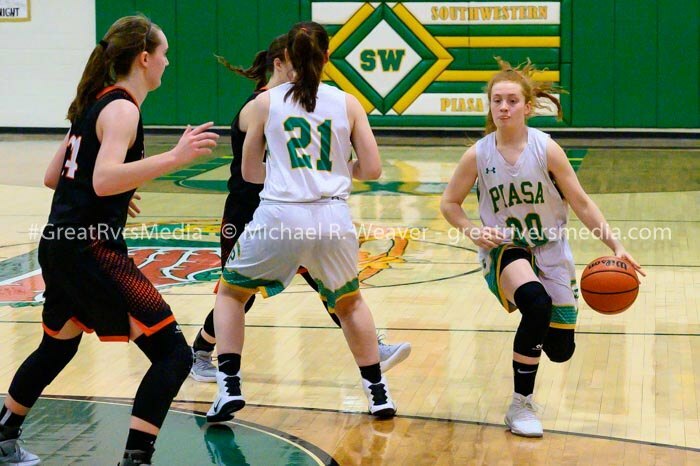 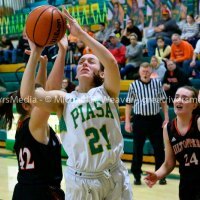 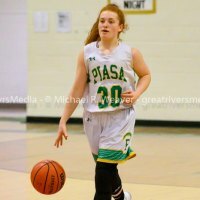 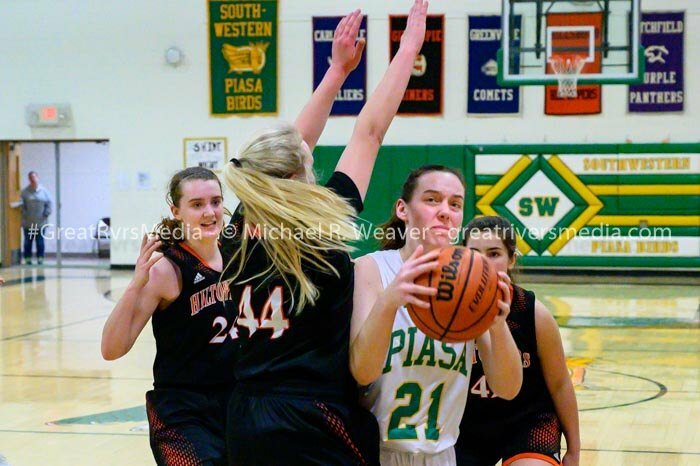 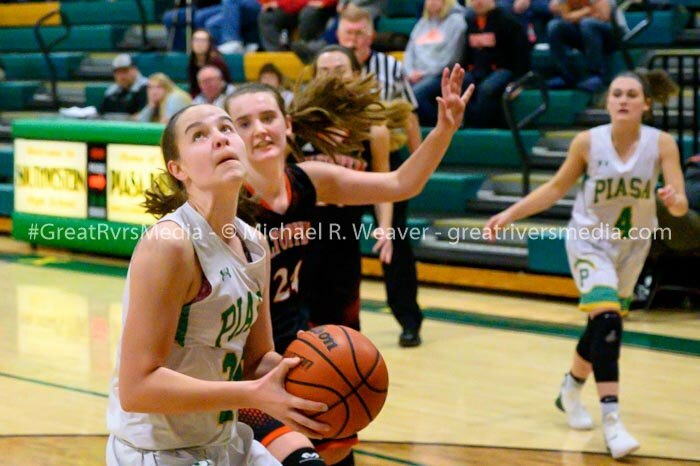 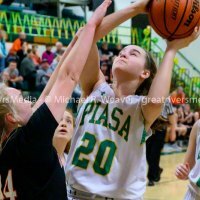 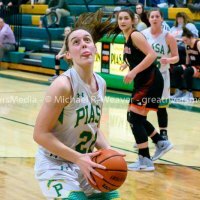 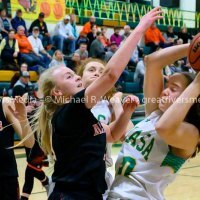 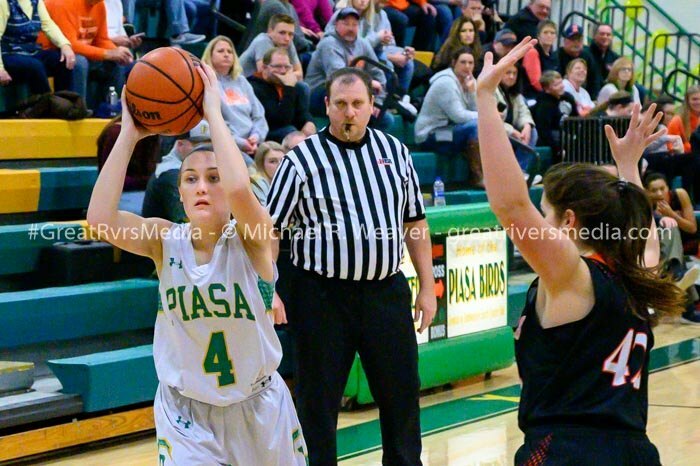 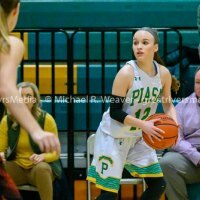 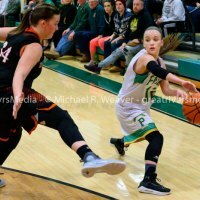 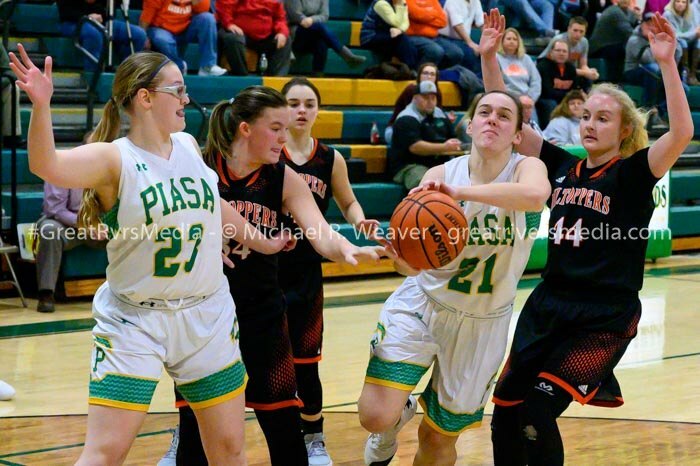 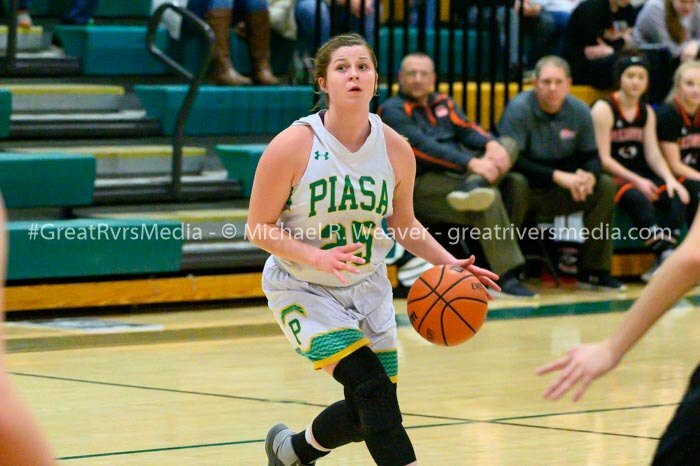 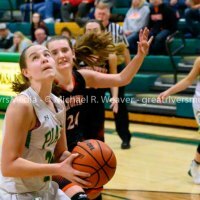 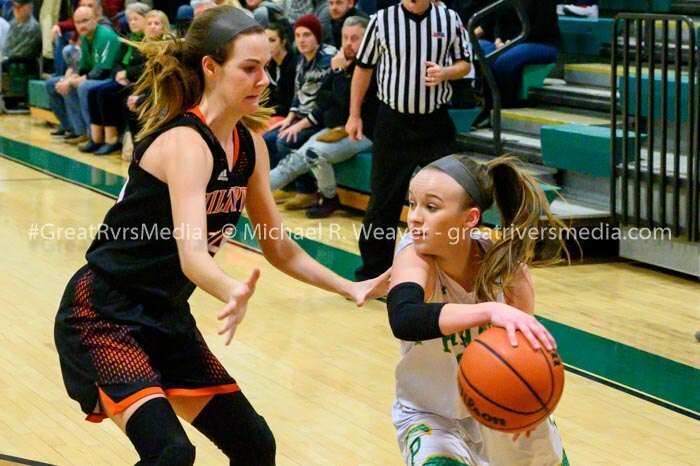 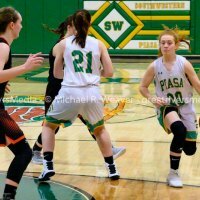 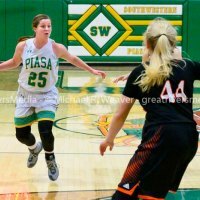 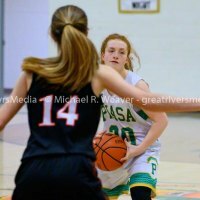 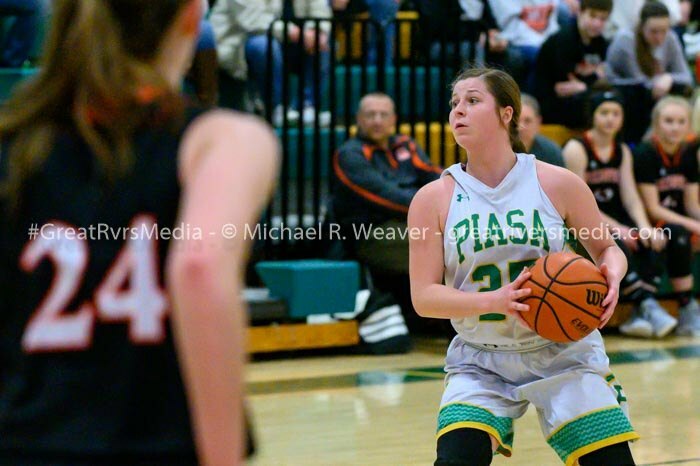 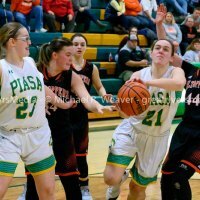 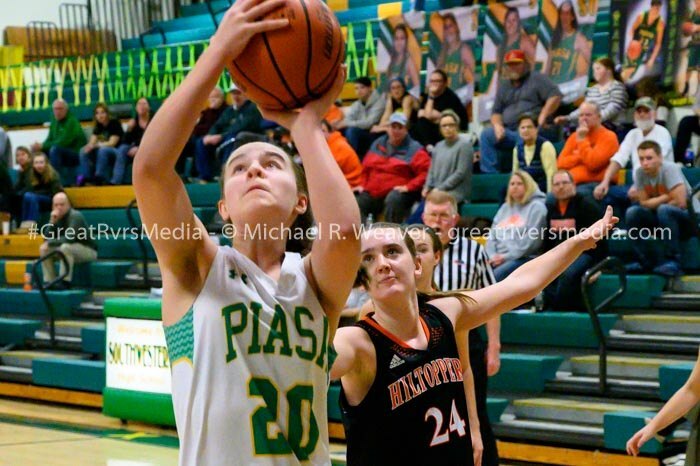 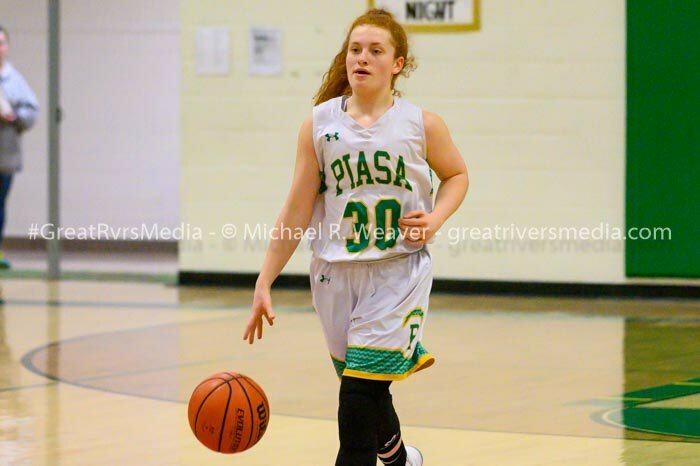 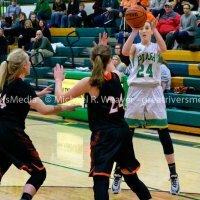 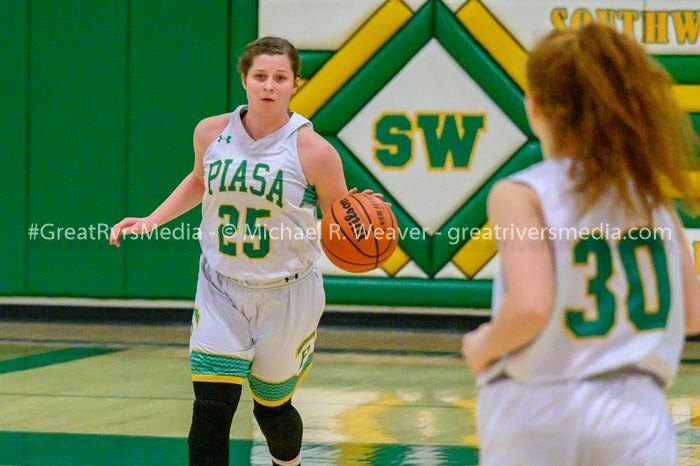 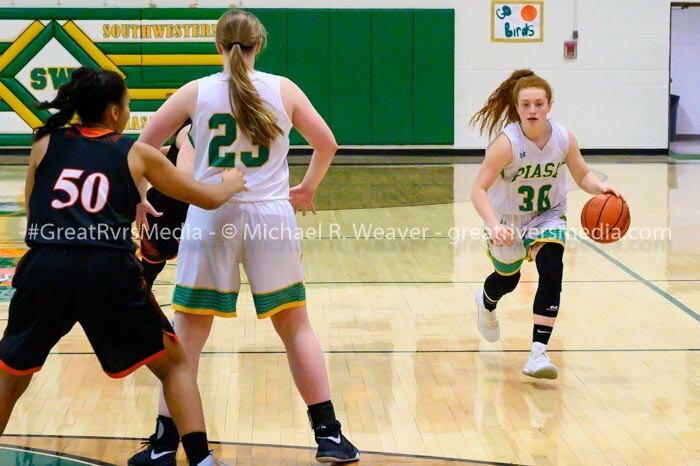 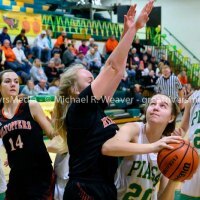 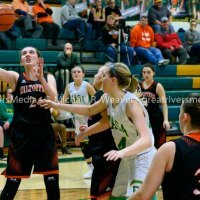 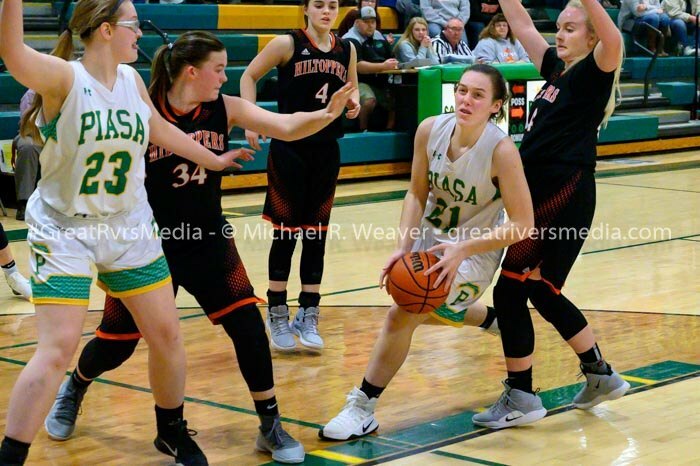 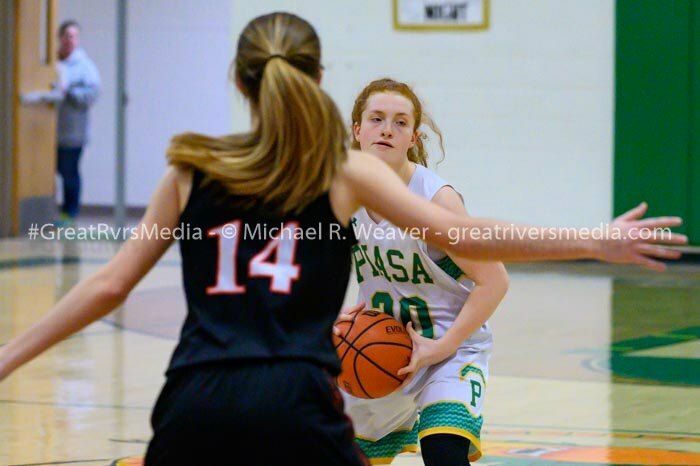 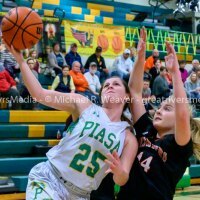 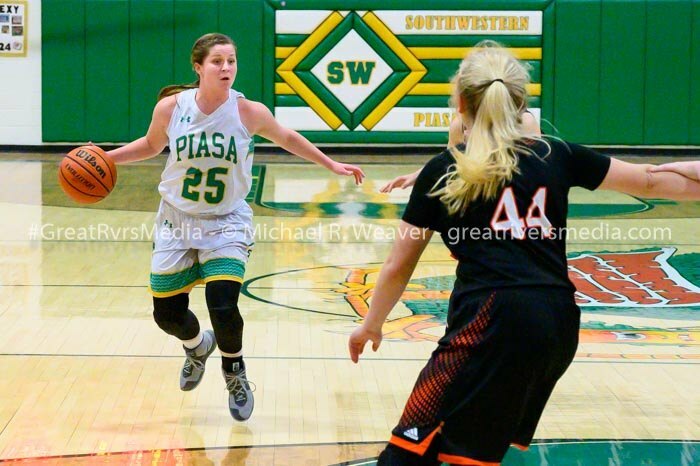 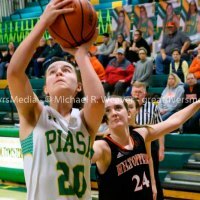 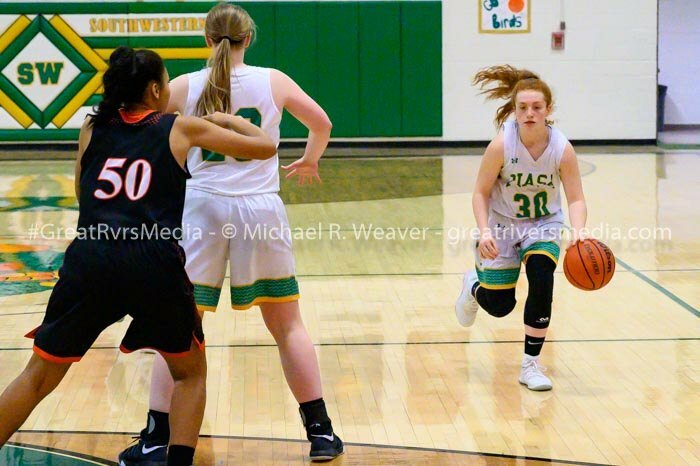 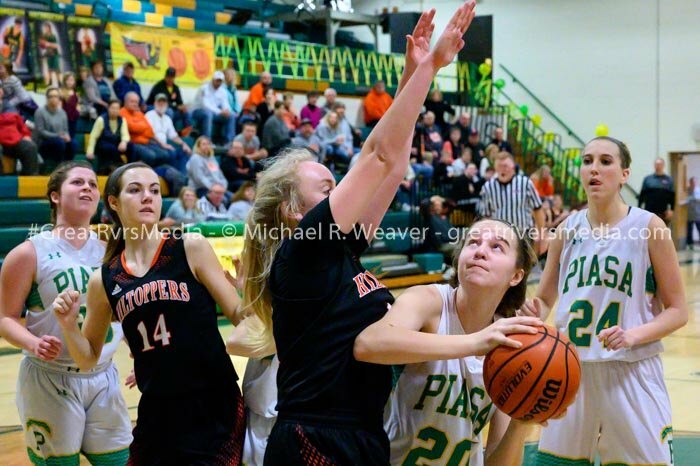 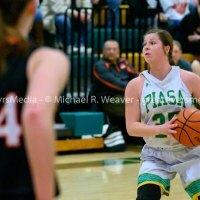 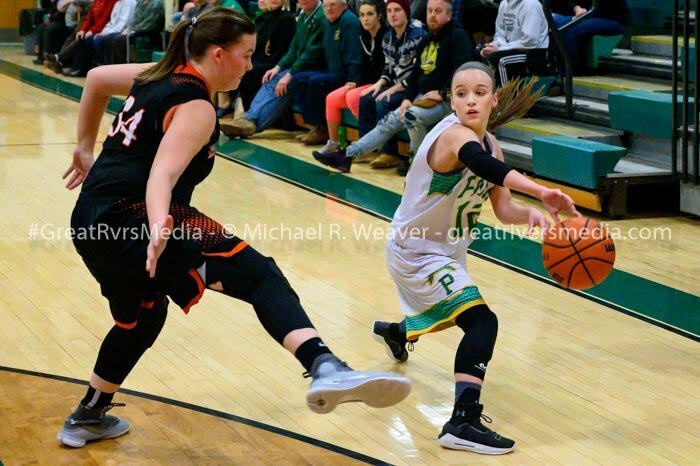 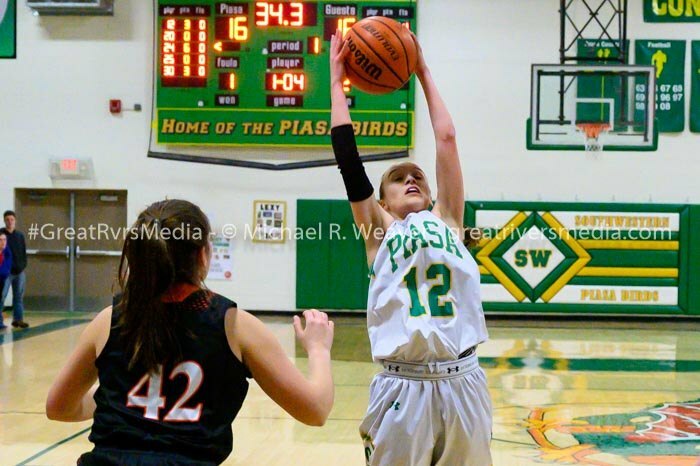 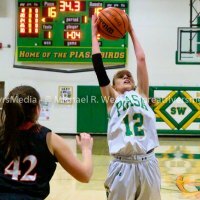 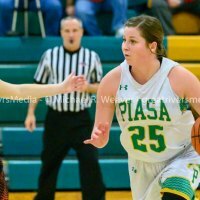 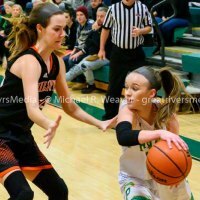 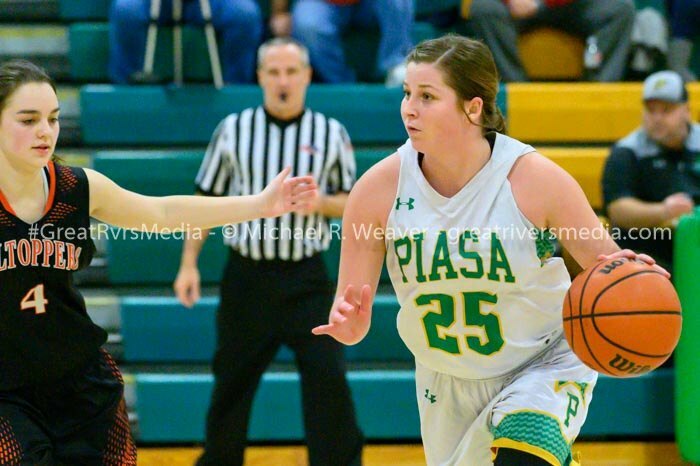 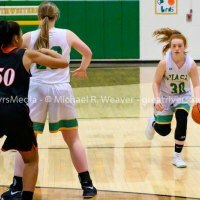 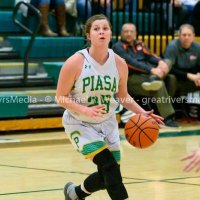 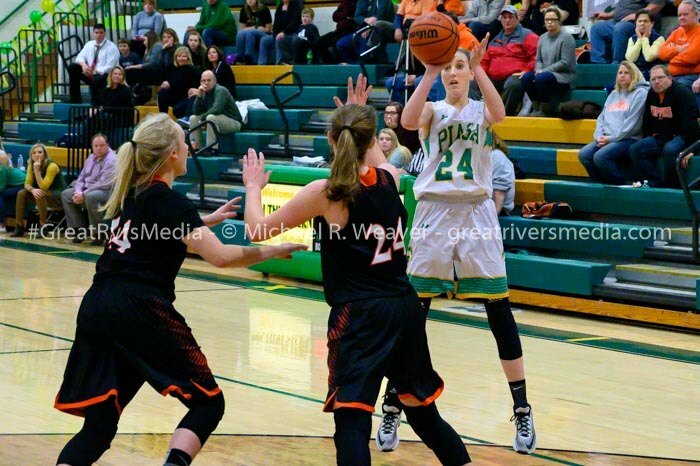 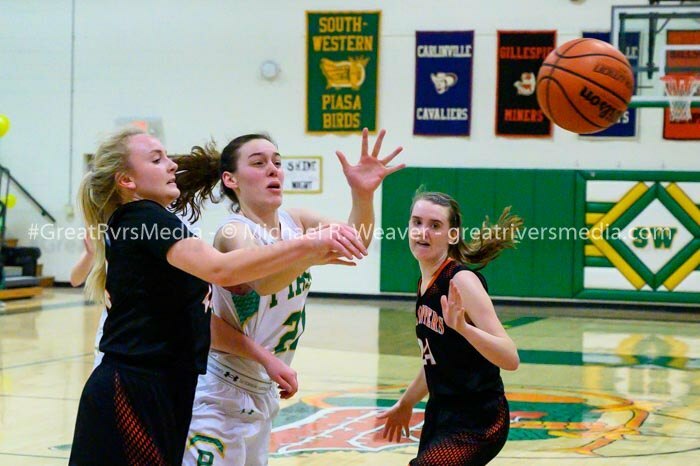 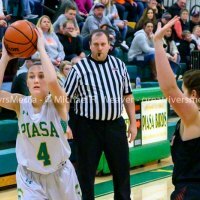 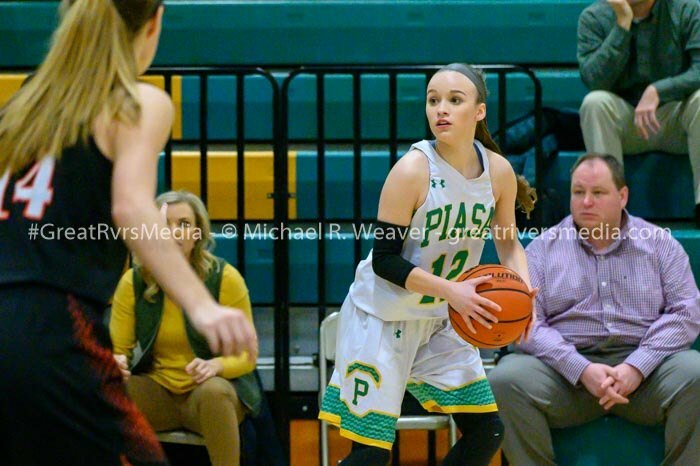 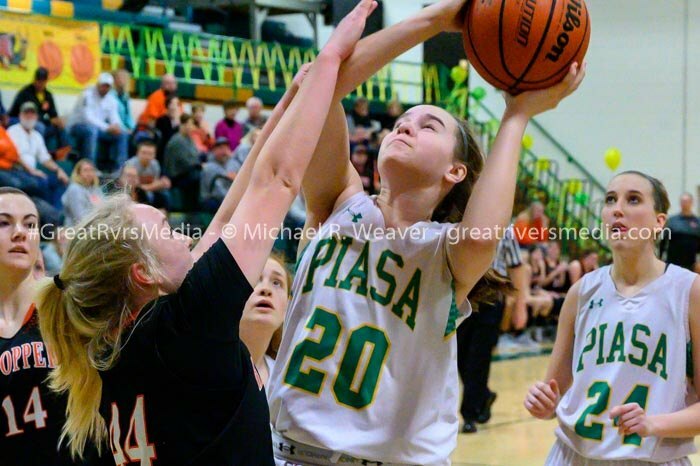 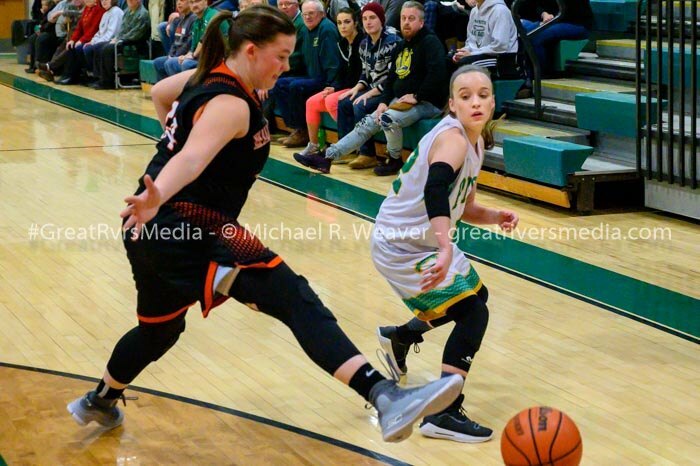 PIASA - Southwestern’s girls closed the regular season with a loss to a tough Hillsboro team 56-50. 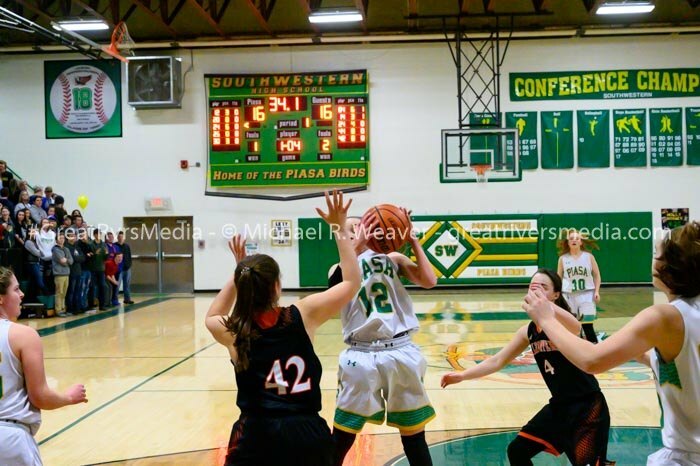 Lexi Hall led Southwestern with 15 points, followed by Rylee Smith with 11 points and Bailey Weible with 10. 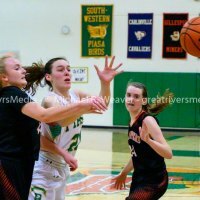 Southwestern led 30-27 at the half, but Hillsboro rebounded in the second half for the victory. 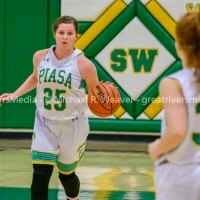 Four Southwestern seniors – Abbey Burns, Lexi Hall, Bailey Weible and Molly Novack were recognized with their parents before the game. 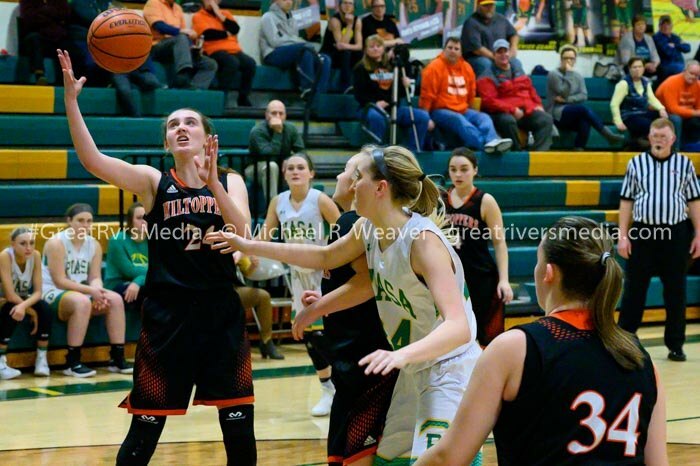 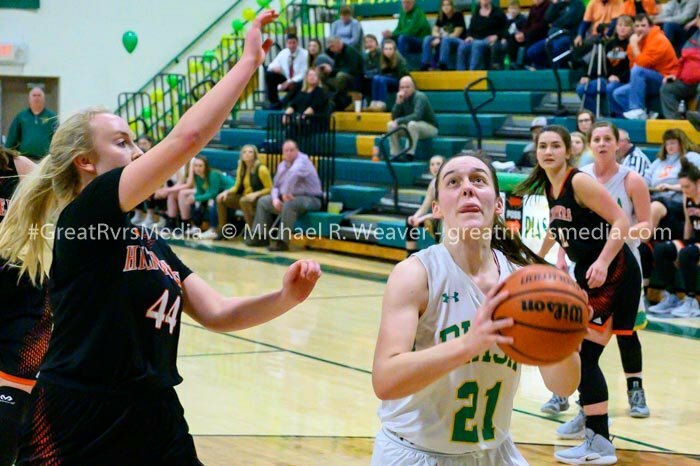 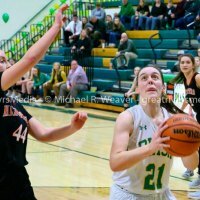 Southwestern head girls coach Steve Wooley said he thought his team came out strong with the seniors guiding the way, but it just wasn’t enough on this night to hold Hillsboro off. 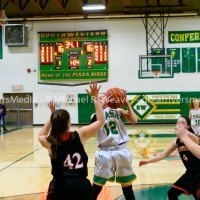 Southwestern hosts a regional next week and plays first against Carlinville at 7:30 p.m. Tuesday.